This entry was posted on Friday, November 23rd, 2018 at 10:11 pm	and is filed under Crafty, Creativity, Janome. You can follow any responses to this entry through the RSS 2.0 feed. You can leave a response, or trackback from your own site. Sooooooooooo, you’ve been in my quilting studio again? and ratting me out again? Oh, well…. only sew much you can sweep under the rug. I understand about the pin backs. Give them a good work out in your strawberry emery and it helps. Your pin is beautiful! I like to use magnets on my pins. I hide one part between layers & the other part goes inside whatever you’re wearing it on. A bit pricey but no holes in the clothing. The emery is a good idea for the tips, but these didn’t get cut open on the business end! The wheely-thing barely turns, and there is no corresponding opening to OPEN the dratted thing! And yeah…. send in a bulldozer. And a small dumpster. Love that idea, Jo, though I will have to ask Ashley if she thinks it would work. She teaches ages 5-6 / Kindergarten, so I’m wondering if it would get pulled off? Will ask! 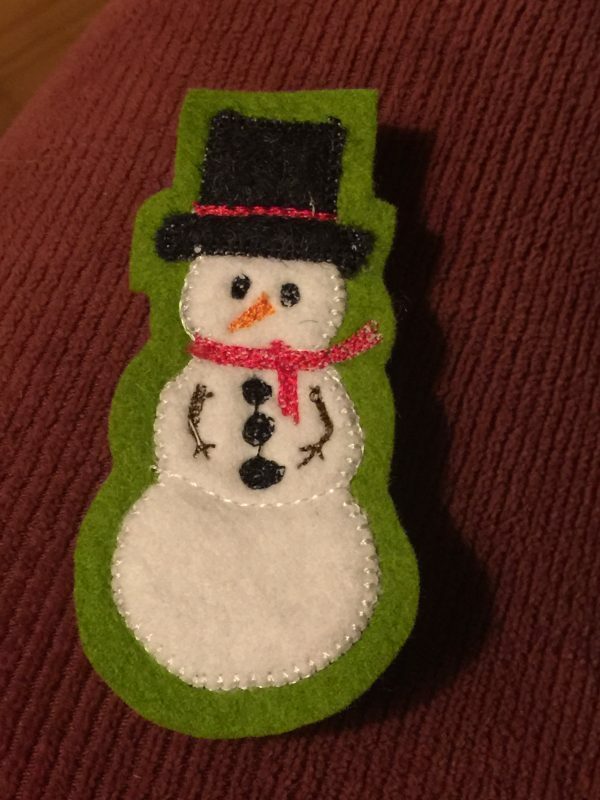 Snow man is cute . . .quality pin backs are hard to find. Quality anything is hard to find unless you know where to look. Yes, chaos and panic are abound here. We have an unfinished kitchen reno that was supposed to be completed in August and is still in progress. 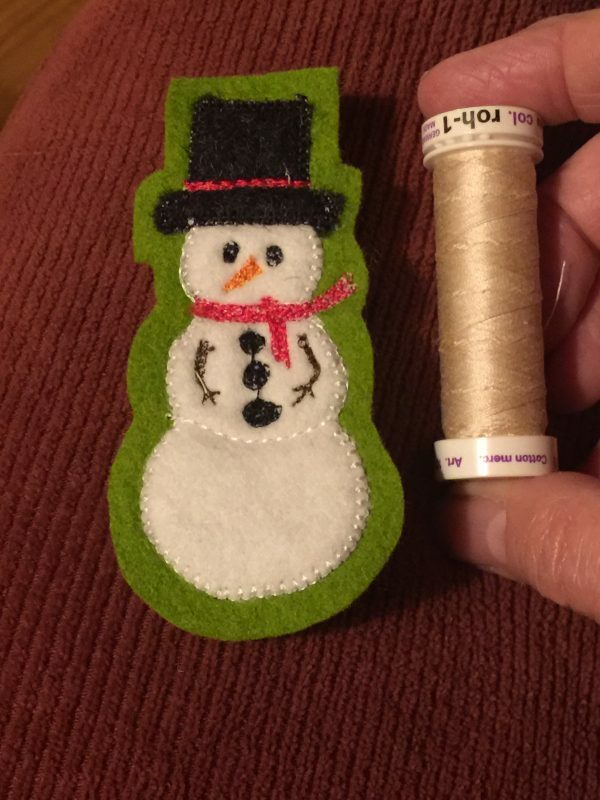 My mind keeps thinking of “oh, I could make this or that for Christmas” while I can’t seem to find a place to set up a sewing machine. Thank goodness for handwork! Congrats and condolences on the kitchen reno. I did a partial in May and it was SO worth it! I’d love to make some of these with handwork, which usually I don’t do. But they are small enough that my mind can cope with that much stitchery! Thanks so much for writing, S.
Thanks Margaret-Elaine! Hope you are doing ok…see you eventually at one of our meetings!